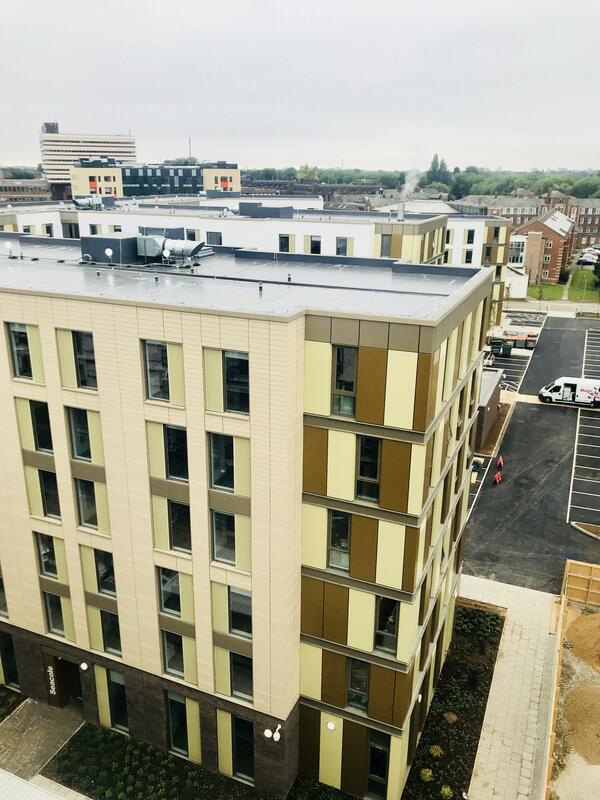 Phase one of the new Westfield Court student accommodation at the University of Hull has reached completion with residents having moved in on 15 September 2018. Upon completion of the three phases, the 9-block development will feature 1,462 brand new single rooms and one-bedroom apartments with an overall project value of £97 million. The construction of the scheme forms part of the University’s long-term strategy and £200 million investment programme, as part of its commitment to provide an outstanding experience for its students. Completion of phase one ensured an increased number of students who can live on-campus, in high-quality, managed and secure accommodation. Aesthetics was one of the main requirements of the client as a part of their commitment to provide an outstanding experience to their students and improve public perception. TP Bennett Architects, who also designed the roof for the new accommodation blocks, wanted to use a unique mushroom colour for the edge trims to make them match with the external cladding of the building. 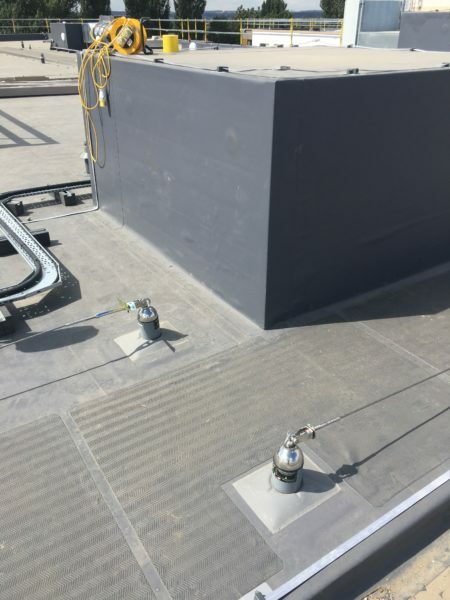 Due to the specific colour requirement, using coated metal wasn’t an option. IKO Polymeric provided a bespoke solution by trapping their IKO Armourplan P single ply membrane with the trim and using IKO Polimar Cold Applied Liquid Detailing on the top to give the edge trim the desired RAL colour. IKO Polymeric was also involved in the early design stage by presenting a CPD at the architect practice and providing technical support with the NBS specification and drainage calculations. 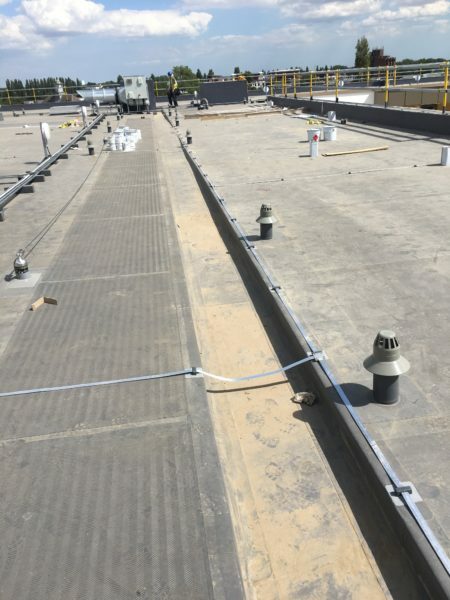 As well as the single ply membrane, a full IKO roofing system was specified incorporating IKO enerthem insulation boards, IKO Spectravap VCL, IKO mechanical fixings and trendy outlets which provided the client with a 20 year full service guarantee.